For Liftmaster, Chamberlain and Craftsman (Sears) Openers. Your equipment might be a little different, but the general idea is the same across most openers. 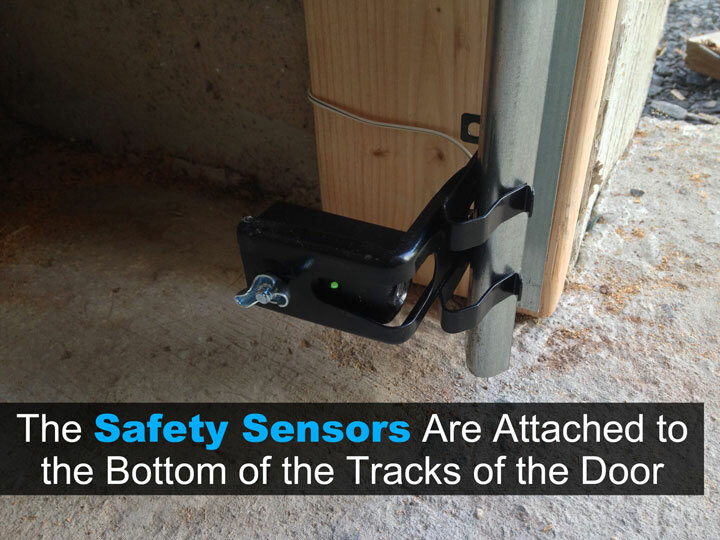 You have a problem with your safety sensors (also called electric eyes) which are attached to the door tracks, near the floor. 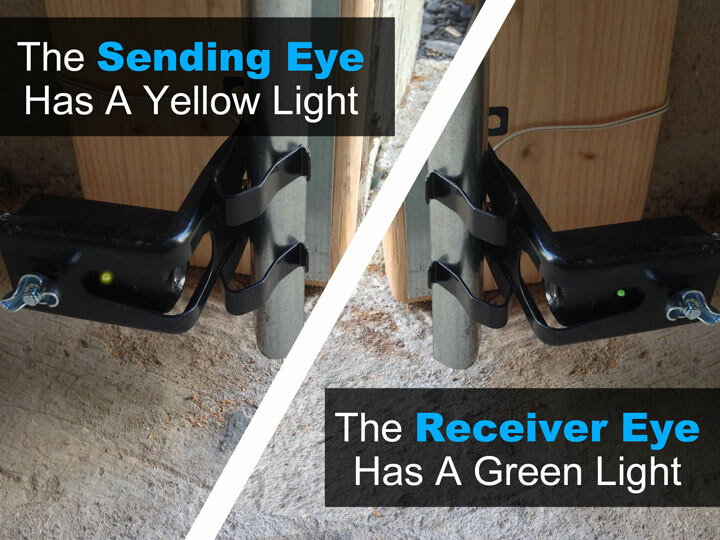 The sending “eye” has a yellow LED and sends a beam of light to the receiving “eye”, which has a green LED. 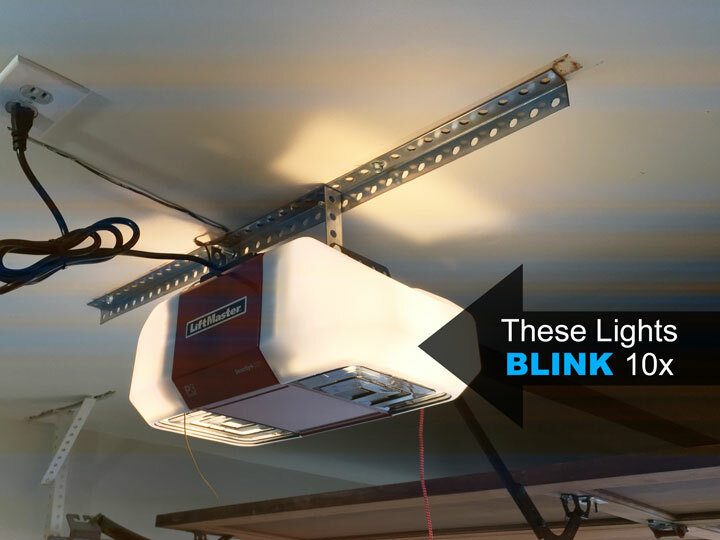 This green LED is often off or flickering when there is a safety sensor issue. You can usually override the sensors by holding down the wall button. This should close the door in case of emergency. To fix the problem, first check for obstructions, such as brooms, garbage cans, shovels, etc. 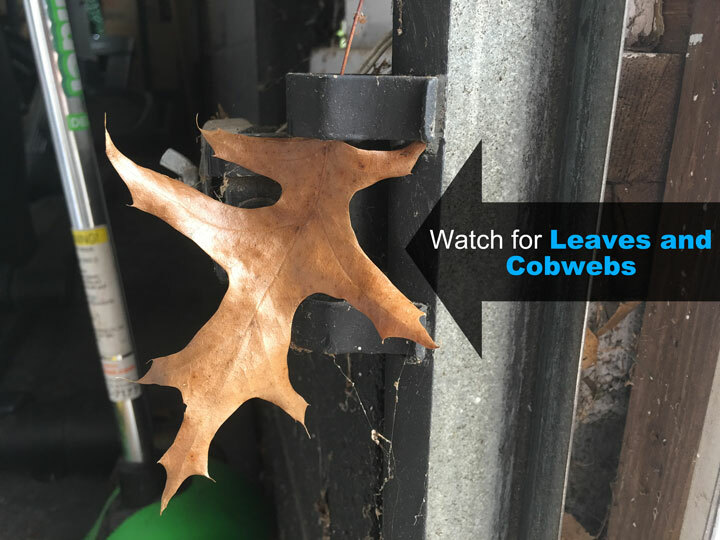 Make sure the sensors are free from cobwebs and leaves. 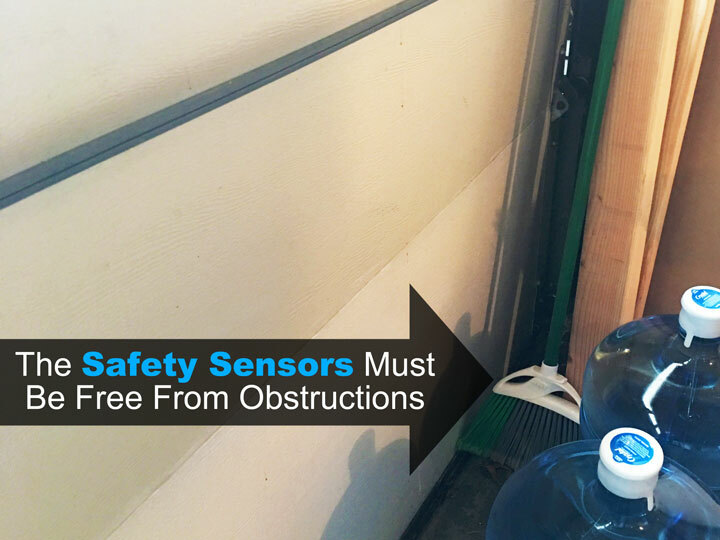 This includes leaves hanging from the bottom of the door that might swing in front of the sensors as the door travels downwards. If there are no obstructions, check to make sure the eyes are properly aligned. 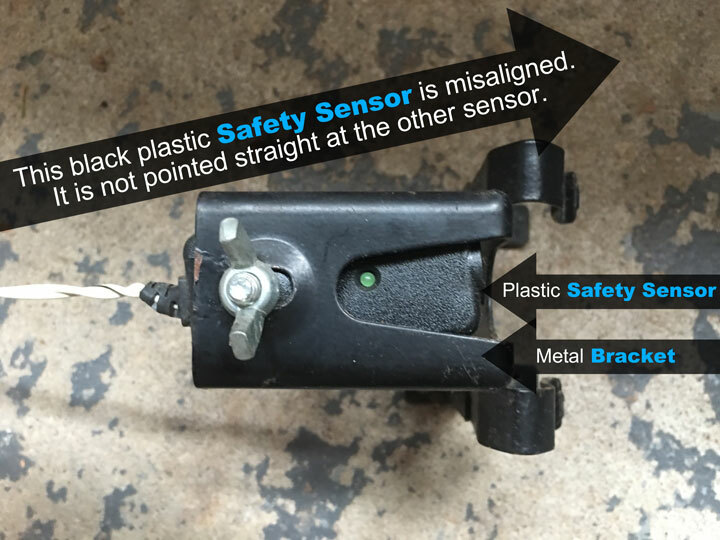 If your problem is caused by misalignment of the sensors, it should be pretty obvious that one or both sensors are not pointed directly at each other. 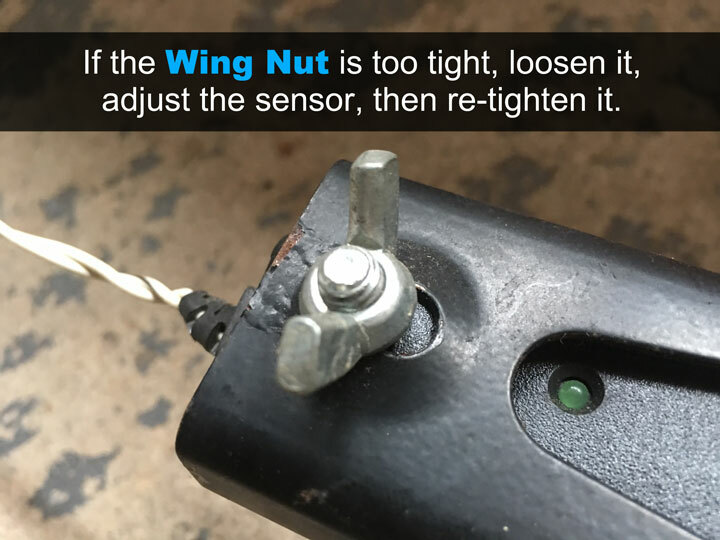 To fix this, loosen the wing nut, re-position the sensor so it is pointed directly at the other one, and re-tighten the wing nut. You should be able to align the sensor by eye, since alignment does not need to be perfect, just close. You may need to re-align both sensors.